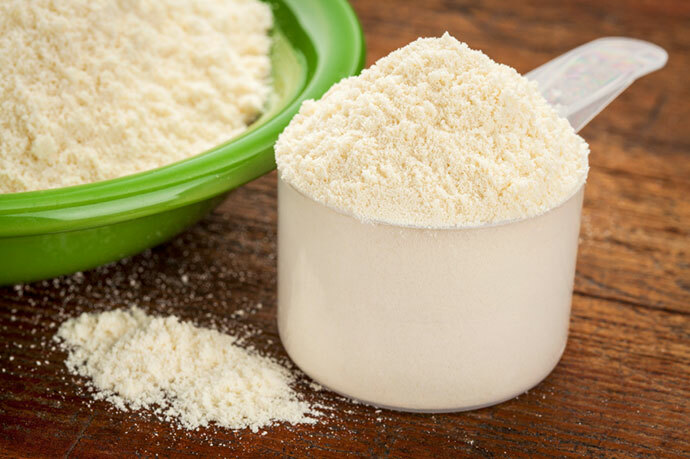 Ask a Nutritionist: Do I need protein powder? TheGo asks our local, qualified and respected nutritionists a question that has been puzzling you. This week it’s about protein; the powdered variety. If you’ve been training hard, do you need a protein powder supplement? Just how much protein do you need anyway? Have you ever walked into your local gym’s change room and almost been knocked out by a smell that was so putrid it tasted like you had it in your mouth for days? Was that smell also accompanied by a comment from an ‘Arnie look-alike’ in the corner who said, “Sorry bro… it was the protein shake”? Smelly ‘protein farts’ are often giving you a good indication that you may be consuming too much protein. It is actually very easy to reach your protein requirements without the use of supplements. For example; an 80kg male training extremely hard only needs about 140g protein a day. The average male in the gym consumes upwards of 200g a day. Protein is extremely important for muscle growth and repair, however, we often get a bit carried away with fancy protein powders and new ‘anabolic’ supplements that guarantee you are going to gain 700% (yes 700%!) muscle in one month. My advice is to go back to real food. Go for a tub of Chobani Greek yoghurt with some mixed nuts and a banana after your gym session and reinvest the money you saved from your 700% muscle gainer into something constructive; like a new boat. As an accredited dietitian and accredited sports dietitian; it’s Mitch’s mission to debunk as many nutrition myths as possible. 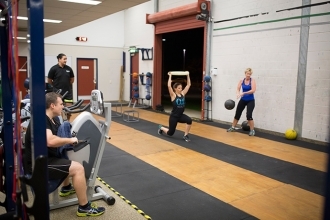 He works with elite professional athletes from a range of sports such as triathlon, body building and football, as well as the Cairns Taipans NBL team (don’t hold that against him!). 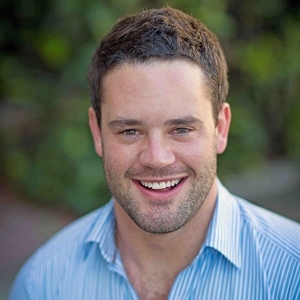 Mitch has a passion for helping men lose weight and get fit and healthy. He practises what he preaches and translates complicated nutritional jargon into easy-to-understand advice. Mitch has just completed his first Half Ironman in Cairns. With any manmade food substance I ask myself the following questions: Is it safe? Government control is not tight on protein supplements, and quality control is mainly up to the manufacturer. Many manufacturers are in foreign countries with different regulations and, as such, some less clinically researched and potentially harmful substances could potentially find their way into products. Does it work? Research suggests that we are unable to use any more than 20-25g of protein in the one hour recovery window post workout. In most cases you are better off getting this protein from a real food source such as meat, fish, dairy or eggs. Even chocolate milk or a fruit smoothie is a better recovery drink than protein products. You get the same benefit from these foods for far less cost. But if you are unable to make yourself a protein rich meal, then a protein supplement may be quite useful; for example, if you work out in your lunch break, or have a vegan diet. Just remember, protein supplements alone will not magically make you build muscle. In the long run you still have to hit the gym, park or pavement to achieve your athletic goals. 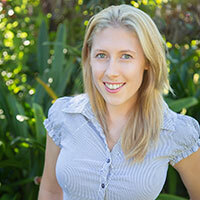 Hannah Gentile has a Masters of Nutrition from Deakin University. She has spent the past 10 years working in the fields of behavioural science, health, and nutrition with women and children across New Zealand and Australia. Hannah decided to focus her nutritional background on women and children after experiencing a high-risk pregnancy. Addressing the need for good quality information, especially for mothers, Hannah is determined to provide a service women can turn to during the most important stages of their life. Every individual has different protein requirements gauged on gender, age, size and training frequency/intensity. If you are struggling to meet your protein needs through diet alone then I would suggest using a protein supplement. Often in the early stage of training, athletes cannot meet their daily required intake as there is a lot of food to consume, hence, by having the extra kilojoules and protein through a liquid form it is better tolerated. It is also important to realise that we also see people consuming well over their protein needs through these protein supplements and diet in the hope that this will turn them into the hulk overnight. Except this is not how it works. Once your body has satisfied its needs for muscle repair we simply pass the rest out. So unless you want very expensive urine, I’d suggest trying to meeting your needs through food first, then trial adding a supplement for when you can’t fit it all in, or don’t have time to prepare a meal. Brie has studied a Bachelor of Health and Exercise Science, Masters of Nutrition and Dietetics and a Certificate of Diabetes Education. She is currently completing another masters degree in Exercise Physiology Chronic Disease Rehabilitation. 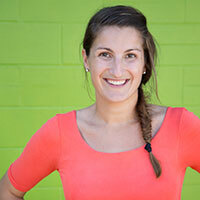 Brie is a strong advocate for a holistic approach to a healthy living and incorporating both a healthy diet and exercise into each and every day.